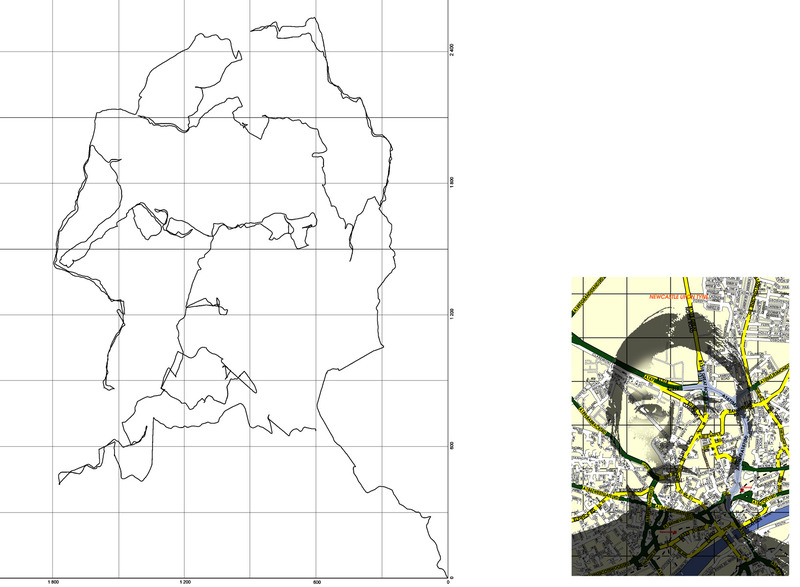 I printed my portrait on various maps. 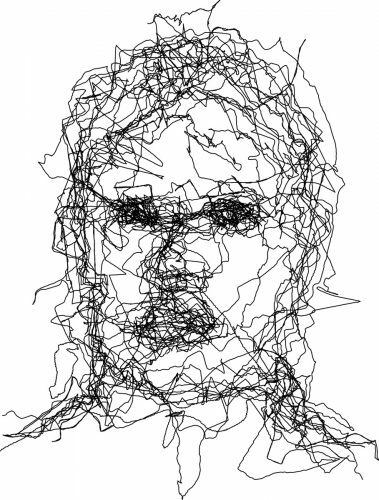 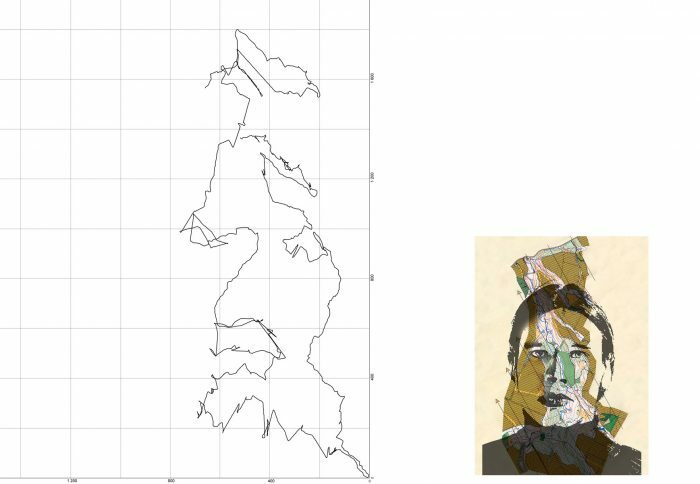 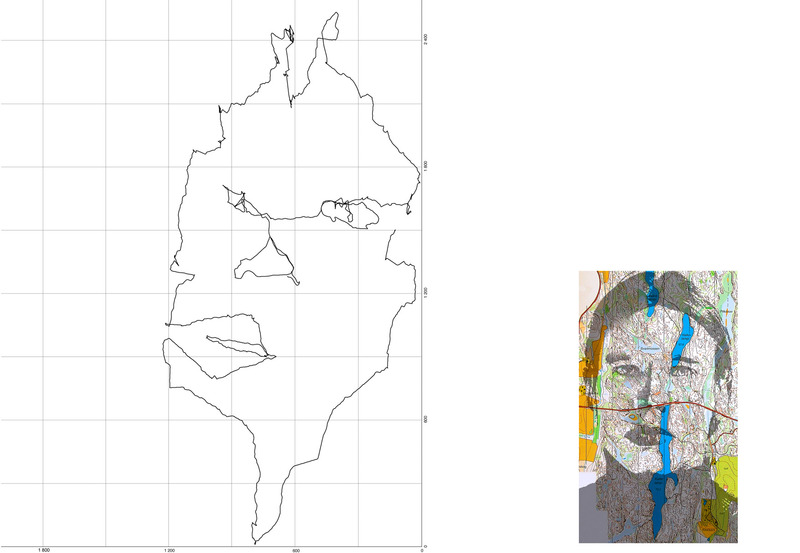 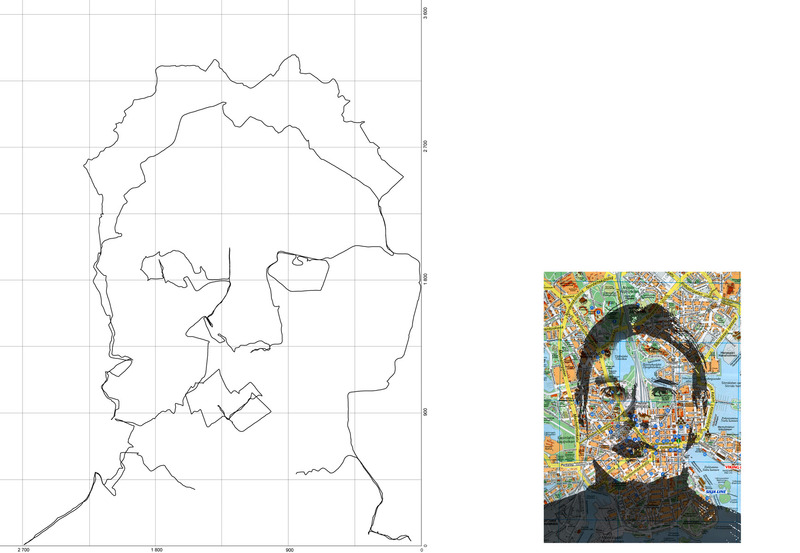 Then I started to orientate the maps following the lines on my face. On my arm I carried a satellite recorder (GPS) drawing the path that I walked.